I’m always hungry.. I need a consistent source of energy (aka food) to keep me going throughout the day. Without an energy source, hanger sets in quite quickly. Which means I’m always looking for easy snacks & meals that will keep me full. I also love peanut butter. 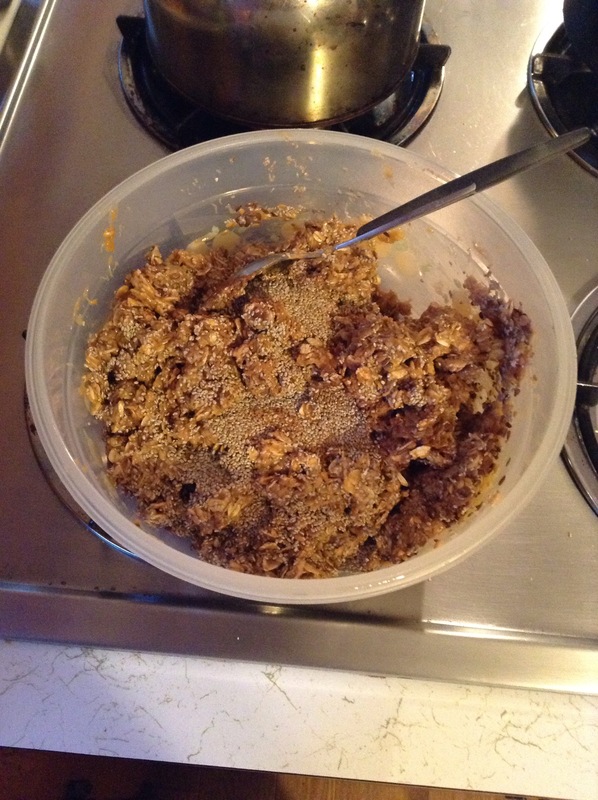 [Anyone who has nut allergies, I’m sorry….this post won’t be of much help to you on your quest for easy recipes.] If you follow me on Instagram (@leedleg) you know I also love oatmeal. 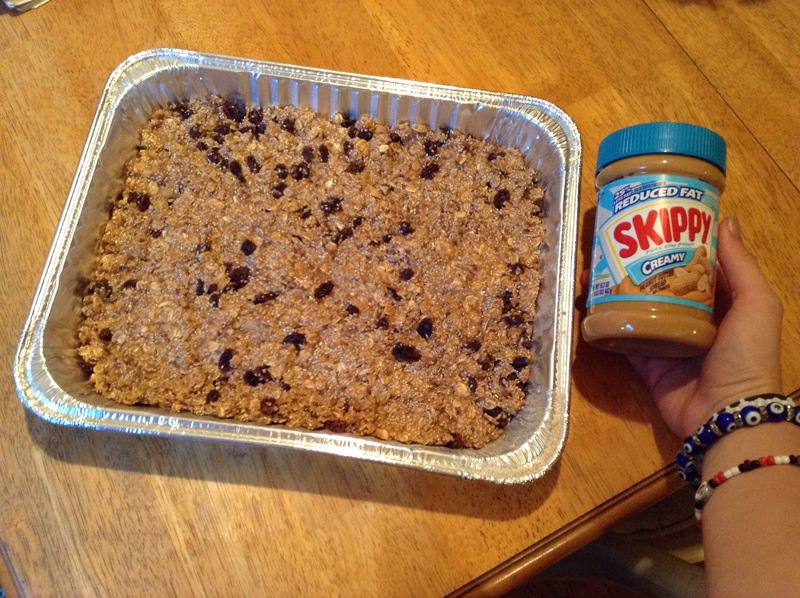 Put a few of my favorite things together & you get this amazingly quick, easy, & filling snack! These bars are great because you can pretty much put whatever you want in them… They’re no-bake, so keep it within the realm of ‘doesn’t need to be cooked’. But go crazy! Add chocolate chips, almonds, my mind is blanking on other things….you get the point- take control of your snack bars!! 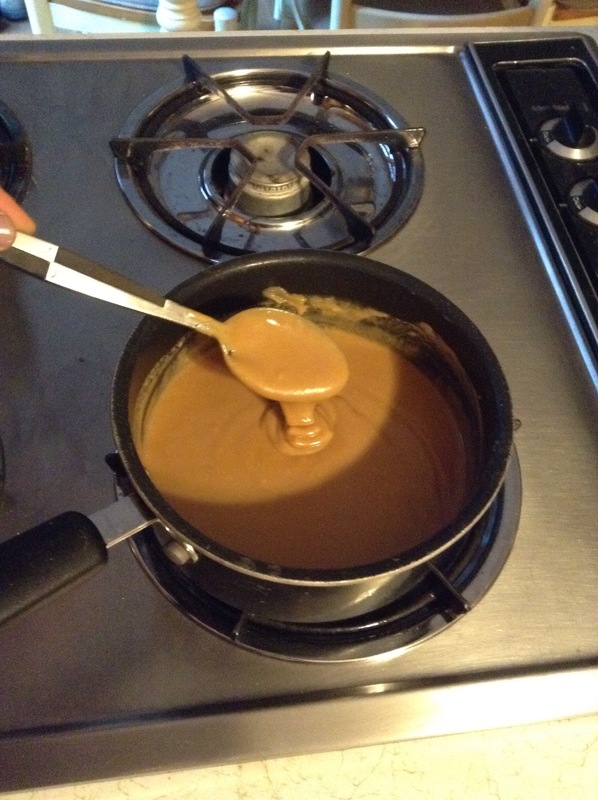 The first thing you’ll do is melt the peanut butter & honey together in a small pot. Already so yum, very wow. Then you’ll mix in the oats. I tried to do everything in the same pot but it didn’t go so well… So I suggest starting this step in a separate bowl. Once the oats are mixed with the peanut butter-honey blend, it’s time for all the other ingredients to join the fiesta! When everything is mixed to your satisfaction, transfer it to a baking pan. This is where your bars will live overnight while they become who they’re meant to be… Store the pan in the fridge, covered with tinfoil/Saran wrap/whatever you have. Ha…See what I did there?? 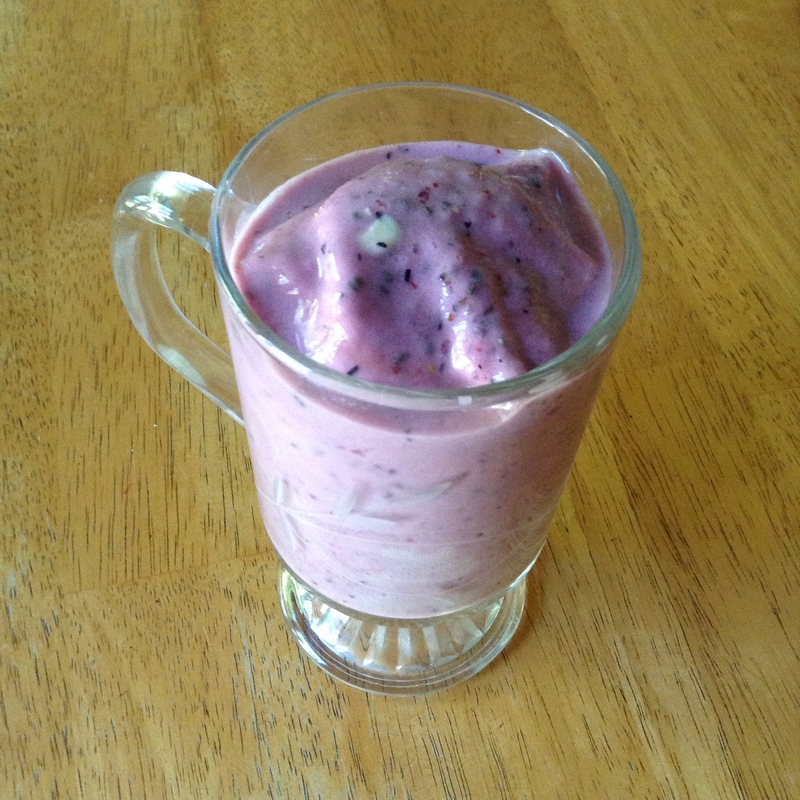 Here’s a quick, healthy smoothie you can make for breakfast, lunch, a snack, pre-workout, post-workout, whenever! All you’ll need is a banana, some strawberries, blueberries, & whatever fresh/frozen fruit you can get your hands on! I used fresh berries because we had an abundance of them in the house & I figured why not freeze them for a smoothie? 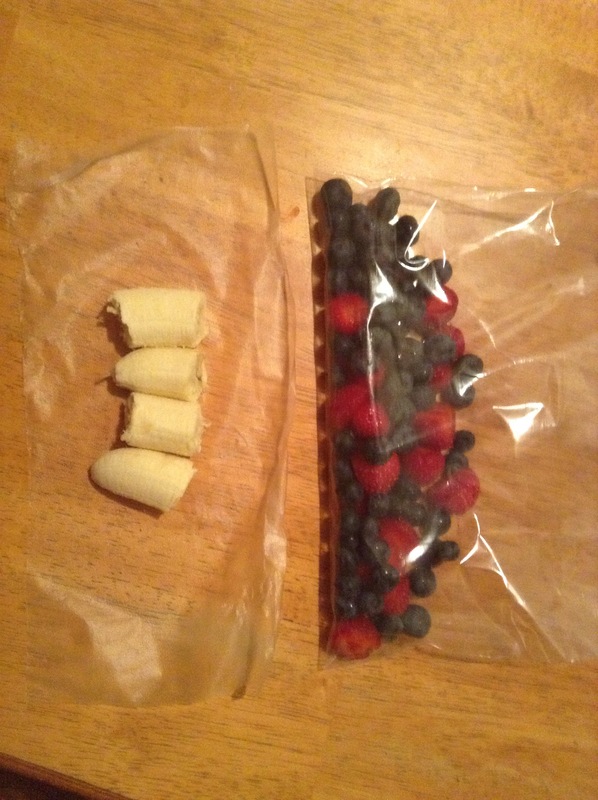 I folded the larger bag in half when I froze it so I would remember to use the berries in 2 smoothies. Frozen fruit is a great option because it saves $$ & lets you enjoy your favourite fruit even when it’s out of season! Fill your blender with about a cup of water (or milk if you want it creamy). 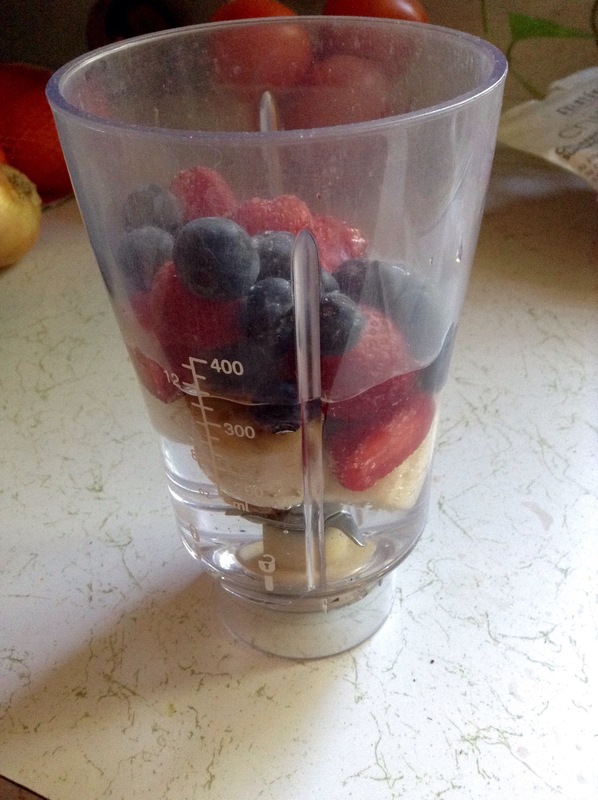 A smaller amount of liquid will keep the mixture thick like an actual smoothie. Now it’s time to throw in your fruits. 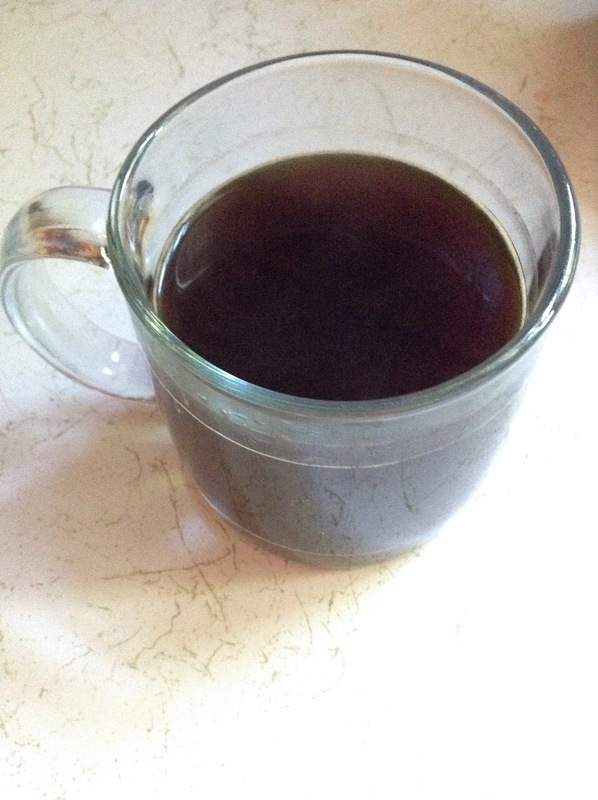 If this is your breakfast/pre-workout snack- keep your coffee or tea close.. 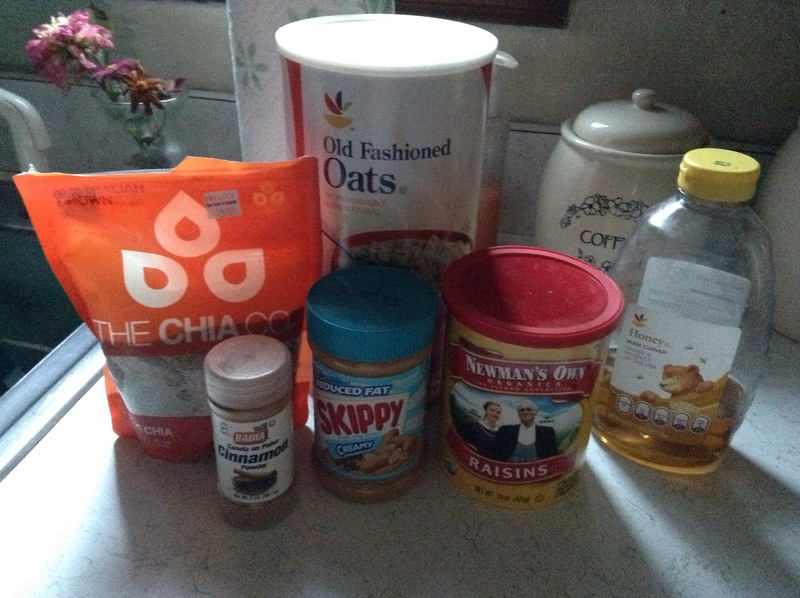 I added chia seeds & vanilla protein to my mix. If there’s anything else you desire, there’s no time like the present. Add away!! If your mini blender is anything like mine, you’ll have to help the whole blending thing actually happen…annoying side effect of getting a cheap blender. Adding smoothies to your regular diet is a great way to give yourself more energy. Being consistent is a little difficult at first, but once you start feeling the benefits in your body it’ll be worth it! Having more fruits & veggies will be a good thing.